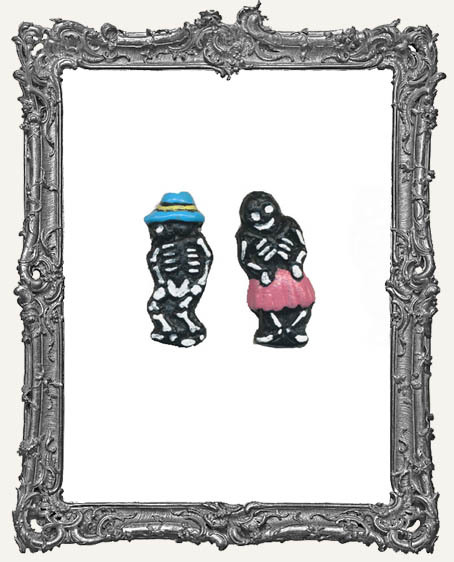 * You will get one Senor and one Senorita black and white skeleton bead. * These are handpainted, so expect some variation. The hat and skirt colors will vary and may or may not match among your pair. They will be randomly selected between pink, blue, and green. * The holes run vertically. Each bead measures approximately 7/8" tall. * Awesome for mini assemblages and Shrines.